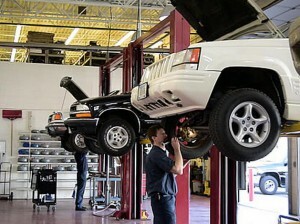 Auto Repair and Truck Repair Service. Abel Brothers offers full service automotive mechanical repair and maintenance. We provide both consumer and commercial services. Since we manage our own fleet of tow trucks, we also perform services for consumers, businesses and commercial vehicle operators. Experienced and Affordable: For nearly 50 years we’ve been providing exceptional mechanical services for our customers – the highest quality services at affordable prices. All of our mechanics are certified and our team’s experience is excellent.